A hypothesis has been put forward that, in collagen hydrogels, there exist interfacial water layers surrounding the collagen helices. A model of interfacial water layer is proposed which does not contradict experimental data on the shear elasticity of collagen hydrogels. Such layers can exist in a loose connective tissue and prove its supporting function. I.E. Stas, V.Yu. Chirkova, M.I. Minin. Viscosity of gelatin solutions prepared on water irradiated with electromagnetic field. Vestnik VGU No. 2, 32 (2016) (in Russian). L.A. Bulavin, O.Yu. Aktan, Yu.F. Zabashta, T.Yu. Nikolaenko. Method for determining the rheological characteristics of consistent fluids. Patent 78094 Ukraine, MPK 7G01N11/16, Bull No. 2 (2007) (in Ukrainian). N.L. Sheiko, O.Yu. Aktan, Yu.F. Zabashta, T.Yu. Nikolaenko. Shear elasticity of ice in the vicinity of melting point. Ukr. Fiz. Zh. 55, 300 (2010) (in Ukrainian). L.A. Bulavin, O.Yu. Aktan, Yu.F. Zabashta, T.Yu. Nikolaenko, N.L. Sheiko. 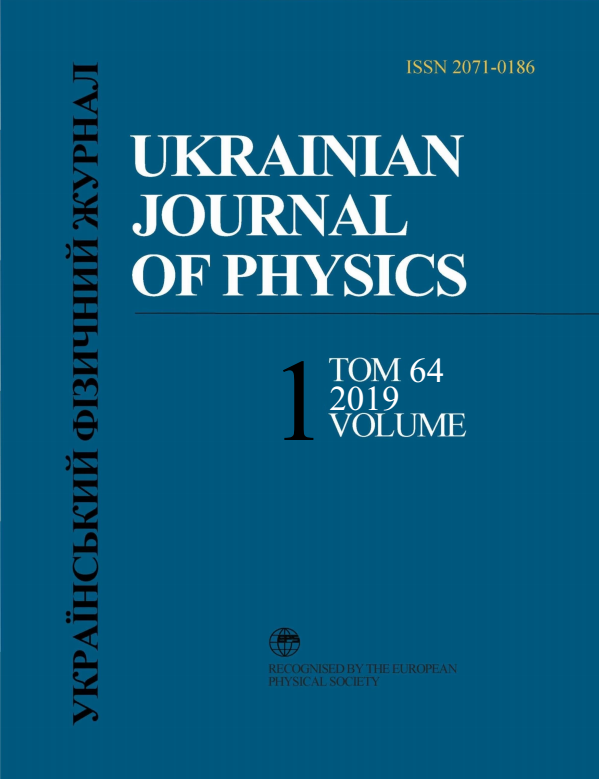 Application of the method of torsional vibrations to study transitions between liquid and solid aggregation states of matter. Pis'ma Zh. Tekhn. Fiz. No. 6, 66 (2010) (in Russian). M.V. Volkenstein. Molecular Biophysics (Academic Press, 2012). Yu.I. Afanasyev, N.A. Yurina, Histology, Cytology, and Embryology (Meditsina, 2002) (in Russian). V.Ya. Antonchenko. Physics of Water (Naukova Dumka, 1986) (in Russian). V.Ya. Antonchenko, V.V. Ilyin, N.N. Makovskii. Effects of molecular ordering in thin aqueous films. Dokl. Akad. Nauk UkrSSR Ser. A No. 1, 54 (1983) (in Russian). Sakurada Ichiro, Kaji Keisuke, Nakamae Katsuhiko, Wadano Susumu. Experimental determination of the elastic moduli of polymer crystals in the direction perpendicular to the chain axis. Bull. Inst. Chem. Res. Kyoto Univ. 44, 168 (1966).